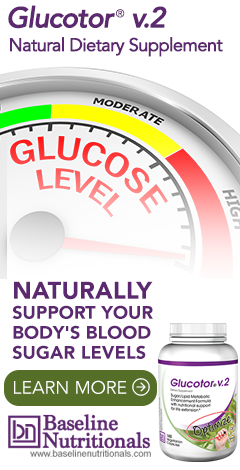 A detailed description of the clinical studies which proved that this formula could drop blood sugar numbers by an average 54 points – approximately double than what was seen with other all natural alternatives. Understand, that the significance of these numbers not only lies in validation of the formula, it lies in the power it gives you to regain control of your blood sugar level or prevent it from becoming a problem in the first place — or for that matter, reverse the aging process. In a perfect world, all food choices would be healthy, convenient, nature-based ways of fueling your body. That being said, the world isn’t perfect, and even the best intentions and efforts to live a health conscious lifestyle are hindered because mass distribution food markets have traded nature-based foods for convenience and quick cash. And the world is suffering — long time consumption of high sugar foods and foods that quickly turn into sugars is affecting just about everyone. If you are constantly eating foods that create high levels of glucose, then your body reacts by producing too much insulin (insulin over-production). Over time your body stops using insulin effectively (insulin-insensitivity), leaving behind excess glucose in the bloodstream. (By the way this turns to fat!) Plus, your pancreas begins to overcompensate by working harder and releasing even more insulin. In other words, super-refined carb-foods are converted into glucose very quickly – too quickly for health. As a result, your blood-glucose shoots up (called a “sugar-spike”). This fools your body into releasing too much insulin. In turn, the extra insulin mops up too much glucose and your level falls so low that the brain makes you feel hungry again! It’s easy to see that if you eat every time your brain triggers hunger, weight gain is inevitable — an unhealthy and exhausting cycle that can lead not only to obesity but disease. Or you don’t develop diabetes but, instead, develop hyperinsulinism (abnormally high levels of insulin in the blood). This can cause health problems including hyperglycemia, hypoglycemia, and chronic obesity, as well as high blood pressure, high levels of triglycerides, low HDL (good) cholesterol, heart disease, and possibly some cancers. The bottom-line is that we need to balance our blood sugar levels and increase carbohydrate metabolism. And this is just what this formula does for you. Let’s look at some more of the study results. One of the purposes of the study was to identify any changes in usage protocol that would enhance the efficacy of the formula. After one week, 42% of the test subjects demonstrated less than expected results; so researchers backed up and looked for a significant difference — and they found one. It turned out that the subjects who were not responding to the formula had a long history of insulin compromising their systems. The biochemistry of these subjects revealed potential deficits in organ functioning (i.e. a pancreas only operating at 10-15% or weak stomach acid) that reduced the subject’s ability to effectively break down the capsules and utilize the formula. This information provided a key to better understanding how to use the formula. As I have mentioned in previous newsletters, for this formula, the timing of the capsule breakdown is very important. The capsule has to break down before it enters your intestines, or the special fibers in the formula will not block the receptor sites before the carbohydrates reach those sites in order to slow down their absorption. In other words, if the capsules don’t break down in time, you will lose much of the benefit. It was agreed that the delivery method needed to be modified for those not responding. You have no doubt heard a lot about carbs in the news, but most people actually know very little about them. Of all the foods you eat, carbohydrates are the most easily converted into glucose — your body’s preferred source of energy, and your brain’s essential source of energy. The controlling mechanisms for this energy exchange are insulin and a critical molecule called adenosine triphosphate (ATP). In fact, remember when I mentioned that the color zone indicators for carbohydrate metabolism at the start of the study were all in the red zone, meaning they were at least 33% out of Wellness range. At the end of the sixth week testing period all subjects had moved into the yellow and some even into the green zone of Wellness numbers. Researchers point out that these are very powerful indicators for measuring and evaluating the body’s ability to burn more carbohydrates for energy instead of storing them, providing the person with more energy and less fat storage. With this in mind, consider that at week 6 of this study there was a surprising, but not entirely unexpected result — weight loss. 21 subjects reported at least 10 pounds of weight loss during this study. Researchers also had several reports of chocolate craving being significantly reduced and the effects of chocolate being reduced. While this formula can benefit virtually everyone, achieving blood sugar control can be a life-altering phenomenon for the millions and millions of diabetics around the world — and let’s not forget the millions more who are hypoglycemic and/or borderline diabetic. According to the Center for Disease Control’s 2005 National Diabetes Fact Sheet, studies in the United States and abroad have found that improved glycemic control benefits people with either type 1 or type 2 diabetes. In general, every percentage point drop in A1c blood levels reduces the risk of microvascular complications (eye, kidney, and nerve diseases) by 40%. Don’t get me wrong; I am in no way saying that this formula is a cure for diabetes — merely that Phase I clinical results indicate that the precise combination of natural ingredients found in it appear worthy of closer examination. This study was designed to determine the effectiveness of the formula in enhancing sugar metabolism without making any changes in diet or lifestyle or incorporating any other elements of the Baseline of Health® program. With that said, the results were nevertheless highly encouraging and potentially life changing. The 52% average improvement in blood sugar utilization and optimization numbers is comparable to that experienced when using the prescription drug, metformin — approximately double that seen with other “all natural” alternatives. Support your body’s ability to burn more carbohydrates for energy instead of storing them — providing you with more energy and less fat storage. I am really excited about the “Barron’s Formula”. I have had diabete’s sence 1997, I have not taken any medications. But I quit smoking about 1 1/2 years ago and ever sence, I had a real problem getting my blood sugar to stay down. I had to go to the hospital about 2 weeks ago, I have been going to TCM doctor and did not realize the tea I was taking had licorice in it so I ended up with high blood pressure and high blood sugar——so I am taking Amaryl 5mg in the morning. The hospital did all kinds of test and everything was great, the doctor’s couldn’t believe I had been a diabetic for this long with out having “ANY” problems. But I have been taking care of myself with Herbs, vitamins and minerals. I was just reading up on your Barron’s Formula, I feel maybe this could help me with my problems. I also just had an eye examine and my doctor of 20 years said there is no sign’s of diabtes in my eye’s. So where can I buy this Barron Formula and is this the same as the GV2 formular also. Coul someone please help me, Please the doctor in the hospital told me and my husband: I want make it clear we are not trying to cure the problem we are “ONLY” treating the systoms!!!!!!!!!!!!!!! There you go, medications is all the doctor’s will talk to you about, can anyone help me? I have recently read info about a medicinal mushroom called Agaricus blazei. This mushroom supposedly supports adiponectin levels – adiponectin being a substance that our bodies naturally makes that helps control blood sugar. This mushroom is being touted as the ‘holy grail’ of blood sugar balancers. I had never heard of this mushroom OR of adiponectin before seeing an advertisement for a supplement that contains this product. Do you know about the research on this mushroom and will you eventually be adding this to your sugar control product? I want buy the Glucotor V.2 but apparently you don’t ship to my country SOUTH AFRICA. Is there any place in my country where I can find your product(s).